Islamist group thought to be The Mohammedan scum behind (the) murders warns Israel not to escalate operation against in after boys’ bodies discovered. The Hamas terrorist group has warned it will “open the gates of hell” if Israel sought to escalate its operation against the Islamist group in response to the murder of the three Israeli teenagers whose bodies were found this afternoon. Israel is the Left’s favourite villain, condemned for measures it takes to defend its civilians and its democracy. Perhaps more Leftists may now contemplate the nature of its enemy and the folly of imagining peace is possible if Israel just trades off some of its security. Yeees, that’ll work. Having the fox watch over the chicken-coop is a splendid idea. That’s what happens when you allow Muslim agitprops in positions of influence. This is Obama’s boy. Just to be ‘fair’, Â Al BeBeBeeCeera also has a Mohammedan religious director. Â This is gallopingÂ sharia. CNN crankÂ Fareed ZakariaÂ compared the Shiite terrorist militia led by Muqtada al-Sadr to the Tea Party. So why in the world is Maliki flatly refusing to do this? Partly is because he’s a hard line Shiite politician himself whose party draws its support from the Shiites who are not particularly well disposed to the notion of being nice to the Sunnis, their former overlords.Â But it’s probably at least as much because Maliki needs to worry about radical Shiites as much as radical Sunnis. You see, he has his own tea party, and this one has an army of its own. The bodies of the three kidnapped Israeli boys were found today. Obama urges "restraint"…. Horrible. The insolence of the Marxist Muslim knows no bounds. Once again we see Obama engage in a moral equivalence between Israel and the “Palestinians” that is grotesque coming in the wake of the jihad murder of three Jewish teenagers. But this is just the beginning. No matter what Israel does now, Obama will urge it to exercise “restraint,” and scale back whatever operations it undertakes. And no matter what happens during those operations, there will be an international outcry, fueled by the mainstream media, against Israel’s “disproportionate” response to the poor little jihad murderers. Naftali Fraenkel, Gilad Shaar, and Eyal Yifrah. 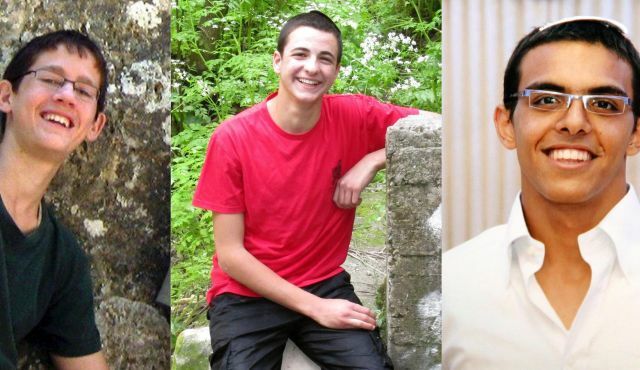 The bodies of three kidnapped teenage boys were found today in the West Bank. 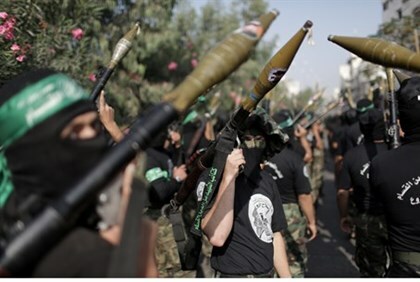 The boys were reportedly kidnapped by the Hamas terrorist group. 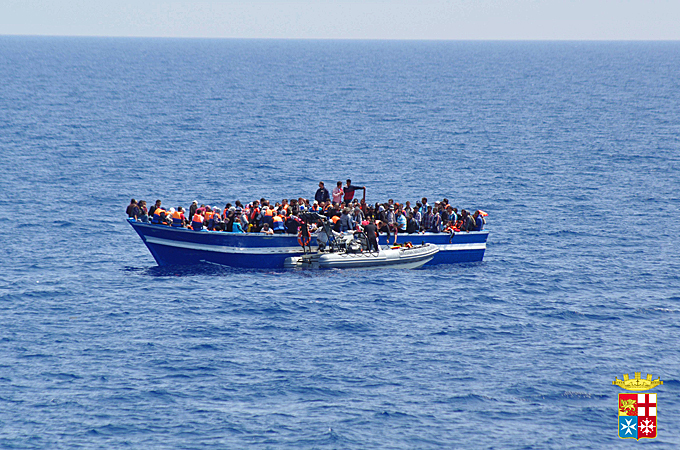 More than 5,000 migrants have been picked up by the Italian navy in the past 48 hours in several rescue operations between Sicily and North Africa. On Monday, about 30 bodies were found in one of the migrant boats, Italian news agencies reported, citing the navy and coastguard. Or just another brood-sow from hell? In anÂ interview with Israel’s Channel 10Â on Sunday, Abu Aysha’s mother denied her son was involved, but at the same time voiced pride if it turns out he was behind the abduction. “If he did the kidnapping I’ll be proud of him,” she said. “I raised my children on the knees of the (Islamic) religion, they are religious guys, honest and clean-handed, and their goal is to bring the victory of Islam,”added Abu Aysha’s mother. The New York Times is comparing a boy who was kidnapped because he was a Jew to a boy who deliberatelyÂ chose to be a combatant and to engage in acts of war. Rabbi recounts bizarre scene, as police ignore Muslim mob harassing Jews to warn them ‘to be sensitive’ and not drink on Ramadan. 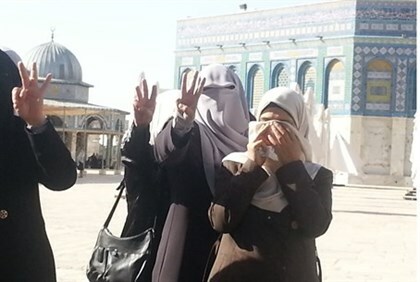 As the Muslim holy month of Ramadan begins, further restrictions have been imposed on Jews wishing to ascend the Temple Mount, Judaism’s holiest site. 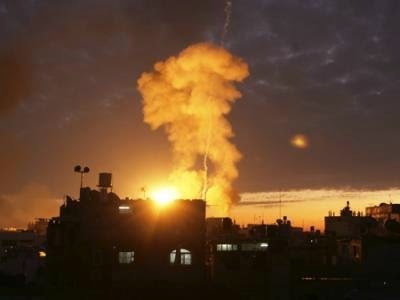 SomeÂ Arabic mediaÂ are outraged that Israeli jets hit terrorist targets on the first day of Ramadan. Attacking during holy days must be an unconscionable act. Of course, they weren’t too concerned about attacking Israel on the Jewish holy day of Yom Kippur in1973. But the irony is that the Arab world calls the Yom Kippur WarÂ TheÂ Ramadan War. That year, Ramadan coincided with the Hebrew month Tishrei in which Yom Kippur is marked. They celebrate it as a victory, and they celebrate that they waged war during Ramadan! Which means that not only did Muslims attack Jews on the Jewish holy day, butÂ they did it during the Muslim holy season as well. Obviously, the rules of war are completely different for Muslims than for everyone else. A Sydney sheikh has been accused of funding a central figure in the Syrian conflict, an Australian-Lebanese dual national with ties to Al Qaeda and who runs a well-armed militia in northern Lebanon. Zouheir Issa has been preaching at the south-west Sydney mosque, Al-Azhar, since coming to Australia in 2005. An adherent of the ultraconservative Salafi Islamic strain, he is no friend to the Syrian government of Bashar al Assad. But what has been unrevealed until now is that Australian authorities believe he has provided funding to Houssam Sabbagh – a Lebanese man who lived in Sydney for two decades but is today a powerful militia leader in the northern Lebanese city of Tripoli. Armed group ISIL changes name to Islamic State, and says its empire extends from Diyala in Iraq to Syria’s Aleppo. Mr Sabbagh is regularly described in the Lebanese press as being involved with Al Qaeda and helping to provide fighters and weapons for jihadist groups fighting in Syria, including the Al Qaeda-linked group, Jabhat Al-Nusrah. Funding organisations such as Al-Nusrah, which is a proscribed terrorist organisation in Australia is a crime. There is an acute awareness among the Dutch that in order to have a safer Netherlands we need to exclude jihadists from our society. We have become so indoctrinated with political correctness that we might consider this as wonderful and surprising news, although it is just plain common sense. Those who travel abroad to kill people for the sake of Islam should not be allowed to walk our streets again. Obama’s desperation to arm “moderate” terrorists is not just ludicrous, its extremely dangerous. For us. Instead of fighting to defeat Al Qaeda, he was working to defeat Bush’s policies. This is a message that speaks for itself. What happened toÂ Â “Al Qaeda is dead and GM is alive” ?? ISIS aka Al Qaeda in Iraq, has declared an Islamic State and a Caliphate. It may not be able to hold it, but it has a lot more manpower, territory and firepower than the core Al Qaeda ever had. Allahu akbar! We have a new caliph! Will Muslim spokesmen in the West who have derided warnings about the Islamic supremacist aspiration to reestablish the caliphate now explain on Islamic grounds why Muslims worldwide do not need to pledge allegiance to the new caliph? Will they explain why this declaration, which is full of Qur’an citations, is a misunderstanding of Islam? Or will it just yet again be assumed by all quarters that they have already done so, without their having to do any actual work? What did the inhabitants of Mecca, who knew Mohammed best, say? The declared leader of the ‘caliphate’ is seen as more powerful than the current Al-Qaeda’s chief Ayman al-Zawahiri . On Sunday, the Islamic State of Iraq and the Levant (ISIL)Â declared that they are building a “caliphate” state. They proclaimed their leader, Abu Bakr al-Baghdadi, as the caliph, saying he would be the “leader for Muslims everywhere”. Along with the new group leader, they announced that they renamed themselves to “Islamic State”, leaving the United States and the rest of the world worried about the rise of a new threat to international peace. “The Shura (council) of the Islamic State met and discussed this issue (of the caliphate)…The Islamic State decided to establish an Islamic caliphate and to designate a caliph for the state of the Muslims,” ISIL spokesman Abu Mohammad al-Adnani said in an audio recording distributed via websites and Twitter. “The jihadist cleric Baghdadi was designated the caliph of the Muslims,” he added.